Yesterday was one of those days where I ticked off something that should be on the to do list of every South Wales resident. 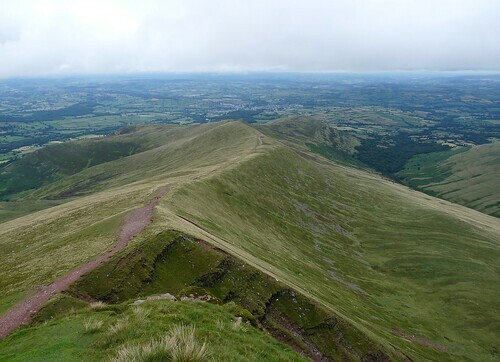 I am of course talking about conquering the peak of Pen y Fan in the Brecon Beacons, the highest point south of the Snowdonia mountain range. Mind you thats like saying my car is the most expensive car in its parking space. 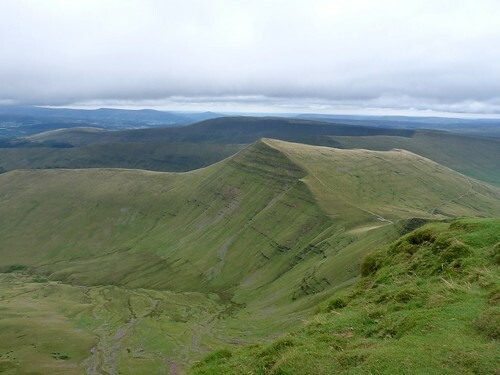 A rather pointless statistic but not something that should take away from the sheer beauty of the landscape at Pen y Fan. There are several routes to choose when ascending the mountain and we plumped for the most used path from a car park on the A470. I must admit that when I first read the words 'most used' it hadn't really fully prepared for me for just how popular this area is. The car park was absolutely packed with upwards of a hundred cars and a constant stream of people could be seen snaking their way up the steep slope. The path itself was wide and often stone paved in an attempt to reduce the massive amounts of soil erosion that is inflicted upon the environment every year by the thousands of visitors. The walk up was relatively easy with a few brief pauses to catch our breath. The landscape was typical welsh moor and absolutely packed with singing Meadow Pipits and the odd Raven. 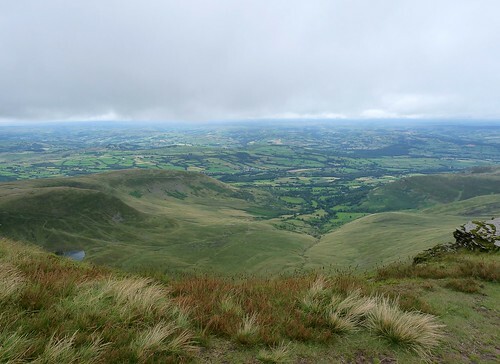 It wasn't until we reached an area just below Corn Du (the last peak before Pen y Fan) that the vista changed dramatically with a near vertical drop of several hundred meters and precipices all around. It is the first time in a while that I have been genuinely taken aback by a piece of scenery. The view before me was completely different to anything I have seen before and will stick with me for a good while. 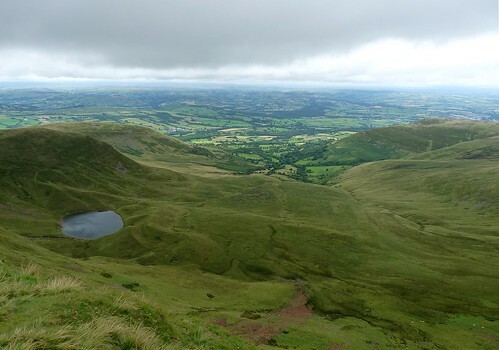 The views from Pen y Fan were equally impressive. We could see all the way back to Swansea and the Gower peninsular and what surely must have been the majority of mid Wales. We were relatively fortunate that the cloud base stayed above us as at one point it was almost upon our heads. Despite the well trodden path it should be remembered that a lack of preparation and a change in the weather can really put your life at risk. This is dangerous country as the local mountain rescue teams will surely testify. I therefore found it amazing to see people climbing in flip-flops and jeans with no visible sign of carrying any drink, food or waterproof protection. Still they had their hand bag and their i-pod blaring out so they obviously weren't concerned! I highly recommend making the trip up yourself if you get the chance as it is well worth it. I've climbed up there once, from Storey Arms, just before I moved to Swansea in 2000. I struggle walking up through Singleton Park now, so don't think I could make it up those heights these days. Oh, to be young! Great pics from your trip, and have enjoyed reading through the back-pages of your blog.